Danger is inherent when working with flammables and combustible liquids. They are a fuel for fire. According to NFPA, in 2017, a structure fire was reported every 63 seconds in the US. 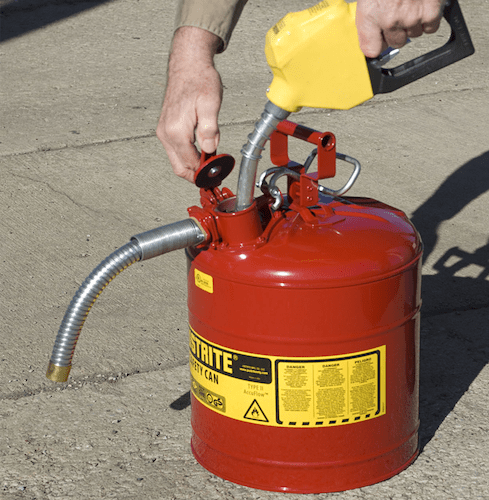 Flammable liquid storage containers can help prevent fires, alleviating a significant danger. When working with flammable and/or combustible liquids, you’re in an environment where fuel is present. Reduce the amount of fuel stored over long periods of time to help limit the potential for fire. NFPA and OSHA standards regulate storage volumes based on the classification of the liquid – flammable or combustible. 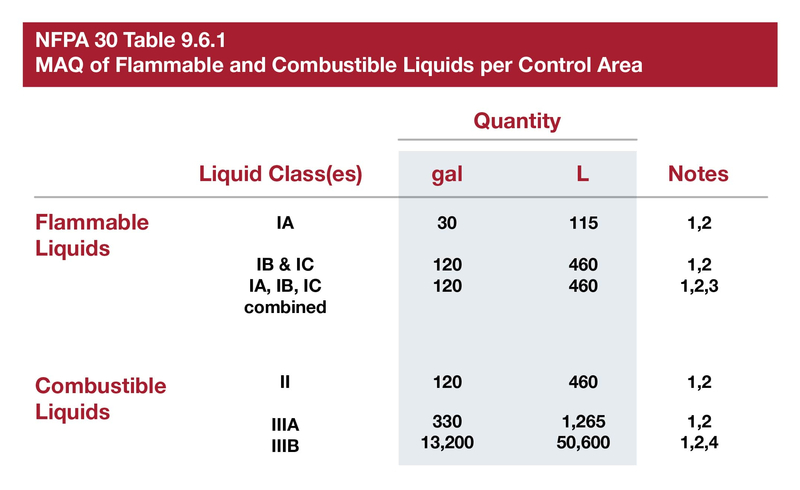 Table 9.6.1 in NFPA 30 specifies Maximum Allowable Quantity (MAQ) limits for flammable and combustible liquids in a control area. To double your MAQ, store in safety storage cabinets or safety cans. Automatic sprinkler systems that meet NFPA 13 also increase storage limits. RELATED ARTICLE: What’s the Difference Between Flammable and Combustible? 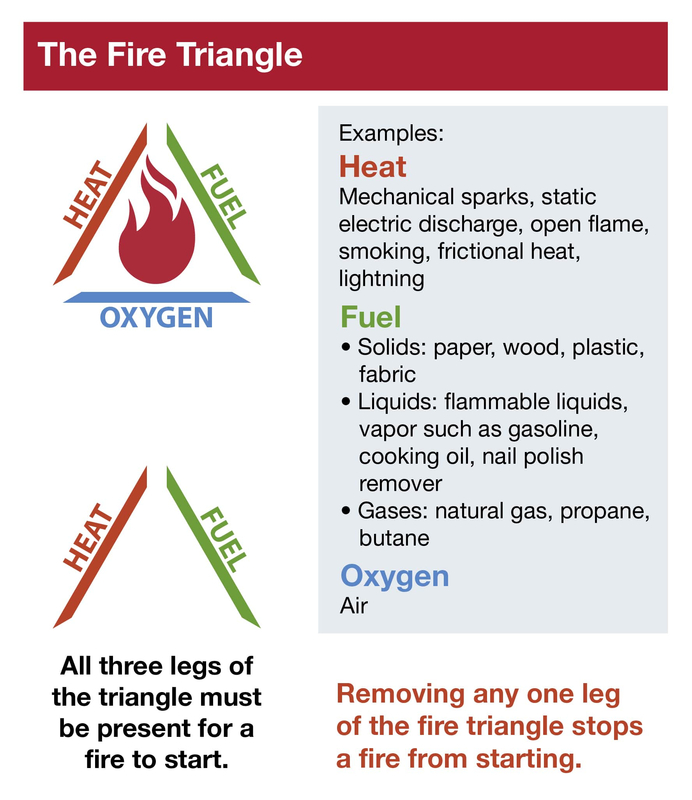 Three components must be present to sustain a fire: heat, oxygen, and fire. Eliminating oxygen or ignition sources is vital for fire prevention. Though an open flame is the most common, ignition sources come in many forms. These include sparks, electric arcs, warm metal surfaces, smoking, and a buildup of heat from a contained vapor over time. Safety storage containers and cabinets protect flammable liquids from sources of ignition. Some flammable liquid storage containers will even seal to prevent the oxygen flow that could start a fire. Any fire that starts inside the container will quickly die out from lack of oxygen. 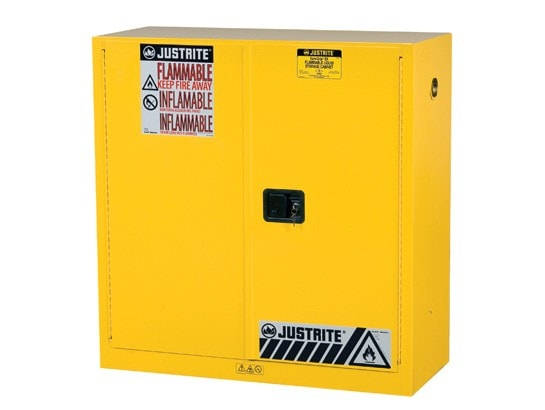 Justrite manufactures Sure-Grip EX flammable safety cabinets and Sure-Grip EX combustible safety cabinets. They have double walls made from 18-gauge welded steel with a 1-½-inch air-gap for insulation and fire resistance. Built-in secondary containment sumps capture any leaks. Self-latching doors keep the flammable liquids secure and stored safely in fire conditions. 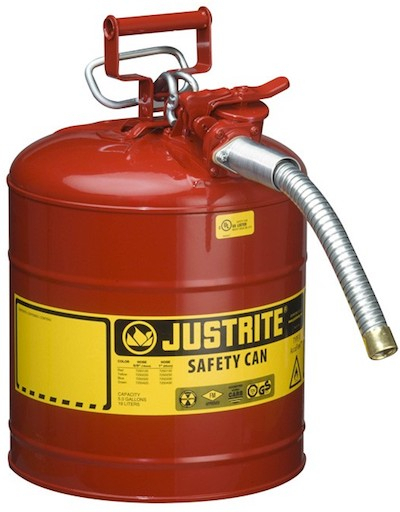 Justrite safety cans for flammable and combustible liquid storage range from one to five gallons. Flame arresters dissipate heat and prevent vapors from igniting inside the can. Safety cans have positive pressure reliefs to vent pressure buildup, three to five psi at a time. This prevents the can from rupturing or exploding. Type II safety cans feature a separate port fitted with a narrow hose for dispensing liquids into small openings. DOT safety cans meet the specifications for transporting flammable liquids in a commercial vehicle. Use Justrite oily waste cans for collecting oil or chemical soaked rags. Oily rags are flammable and may auto-ignite under the right conditions. 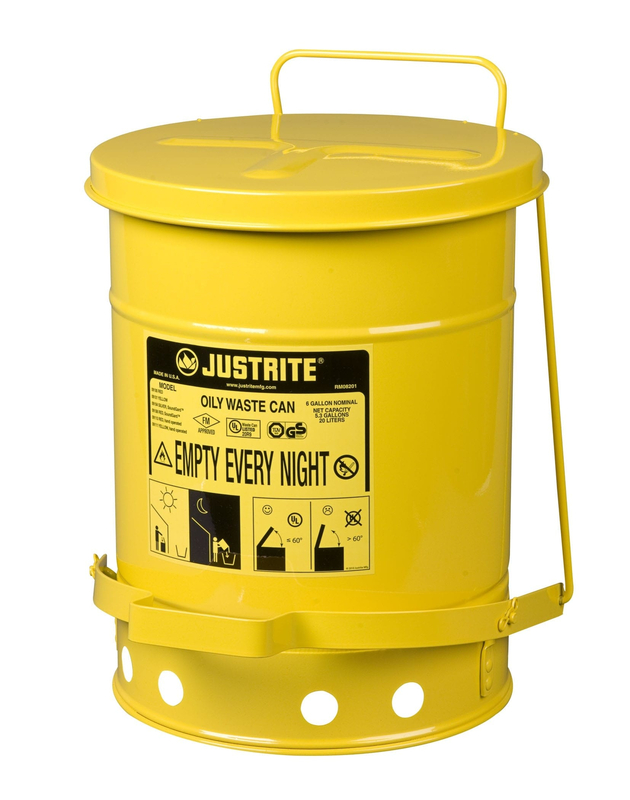 Justrite’s flammable liquid storage container designs ensure the lid remains closed unless left open on purpose. This prevents exposing the contents to ignition sources and limits the presence of oxygen. Both hand and foot operated models are safe for storing solvent soaked rags. Justrite specializes in developing products for managing flammable and combustible liquids. Our flammable liquid safety and storage containers meet the requirements to ensure your safety and provide you with peace of mind. Learn more about flammable and combustible safety cans and cabinets.